Looking for great apps at a fraction of their regular price? We’ve found 31 iPhone and iPad apps that are currently on sale. 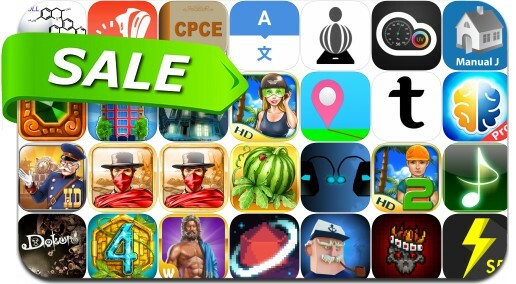 This app deal alert includes Dokuro, The Golden Years: Way Out West, Crop Busters, Heroes of Hellas Athens, Fishing Boss, Tozzle, To The Rescue, Haunted Domains, Pretty Good Solitaire and many others.